Elisa B // UK fashion blog. : Favourite Bloggers Of 2013!! Fashion InFlux has to be my ultimate favourite blogger of the year. her posts just keep me scrolling and inspiring me to blog more which is what I love about blogging. However, I NEED HER WARDROBE (with the clothes in it though). Go read her blog, because you will envy her too. Nobody can go wrong with Ebba. She is one of my favourite bloggers from last year because she takes the most clear and detailed pictures of her outfits and WOW her hair. I need that hair. Everytime she posted, it was on her Facebook page; so, I had to go and read her blog for hours. I actually couldn't stop strolling. Go read her blog too!! She has translation too, so you will be able to read what she's blogging about. is my favourite new blogger that I discovered because she's got my style. Yup, with the dresses and chokers included. I mean, seriously. She's me but, a little older. She actually helped me with my blog which made me feel better about my blogging, so I credit her for that..
On her blog, you see what you see on my blog. 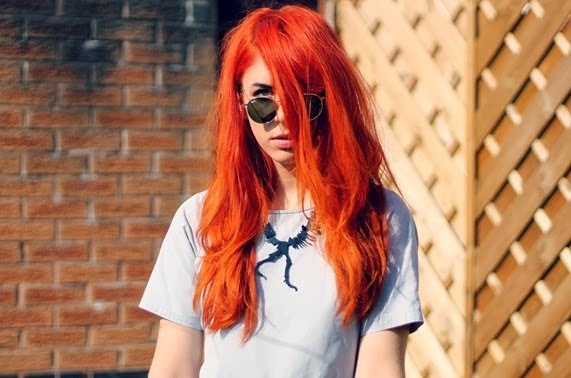 has to be my hair envy of the whole year out of all the bloggers I've been reading. Seriously pink hair. I would be too scared to even dye it pink. she's that one blogger that gives me ideas for when I'm going out to a party. Well, nobody can describe her because it's hard to. Lua has been my favourite blogger for almost 2 years now. She's the one that made me start doing my fashion blogging again even though she's so big that she doesn't reply to messages that often but, to be honest. Reading her blog is like communicating with her. Sometimes, I try to find where she got her clothes; but most of the time I'm too skint to buy clothes. You should definitely read her blog, you won't get bored. Who were your favourite bloggers from last year and why? ?